This home is "Turn-Key" and "Move-in Ready!" This is a ranch style and is a very desired floor plan!! "Location - Location - Location!" 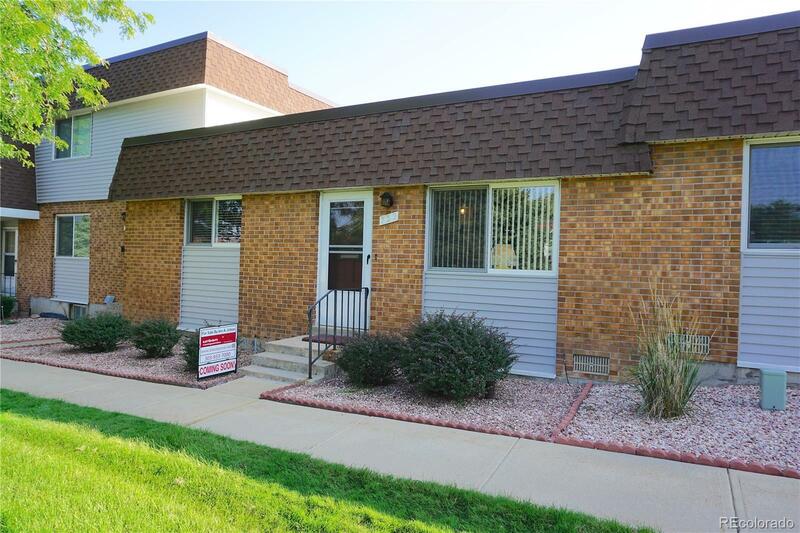 You are surrounded with convenience and easy access to the mountains and downtown Denver! To find a 2 bedroom, 2 bath Ranch townhouse with a 2 car detached garage is a rare find anywhere in a nice area like Green Mountain under 300k! Newer updated kitchen with newer cabinets and countertops with nice newer appliances! You will notice in the pictures there is a delightful back porch! Screened covered pergola! A very efficient drip system for plants and vegetation on this large porch! Mr & Mrs Clean live here! Everything is spotless! There's also newer vinyl double pane windows! Every closet has a light fixture! The garage has a new garage door! In 2017 new siding was installed! In this case the house is all brick and the garage has newer vinyl siding! Satellite is included! One Year "America's Preferred Home Warranty, Inc." is included!